What to Cook When the Thanksgiving Leftovers Are All Gone? Don’t Forget About Them Apples! 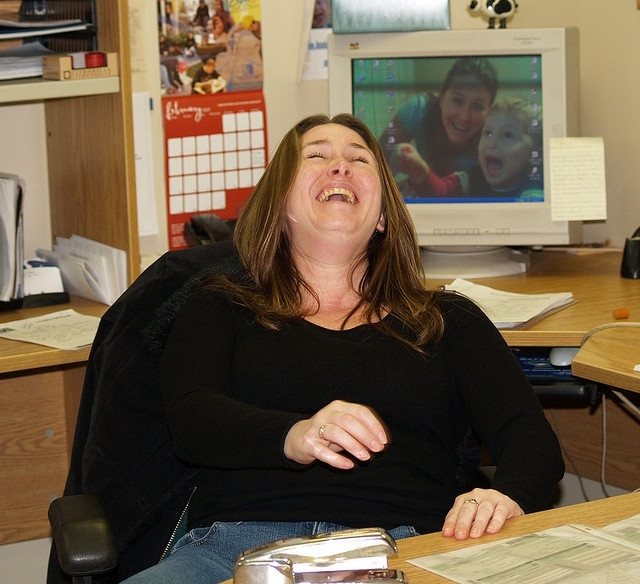 Did you know that April 1-7 is National Laugh at Work Week? And the entire month of April is National Humor Month? So now you have an official excuse to crack your coworkers up - although I am not sure the boss would find this as amusing and humorous as I do. The ability to share a little lighthearted humor among coworkers is a wonderful thing - and sharing laughter is an even better way to relieve some stress and tension. Without further ado, here are my picks to get you started on National Laugh at Work Week. Also be sure to check out (or maybe check out for your boss) The Levity Effect, which uses science to reveal how powerful humor is in building a productive and effective workplace based on research done at some of the world's most successful organizations like Nike and Boeing. There is also this article based on research done by a professor at the University of Missouri-Columbia about the benefits of workplace humoropens a new window. Go ahead, crack the joke! But keep it light and clean. I don't advocate offensive or derogatory humor, especially when it comes to America's ever-so-diverse workplaces, but there is no denying the fact that some lighthearted jokes and laughter can help make everyone's day and workplace a lot better - and this is definitely the week to do it!